These small brushed DC gearmotors can deliver a lot of power for their size. 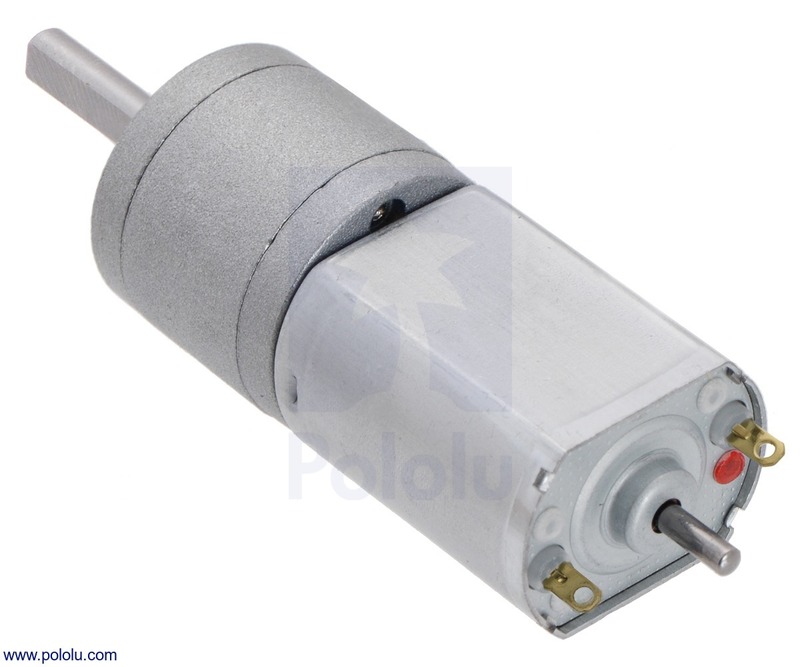 This version has a 6V brushed DC motor with long-life carbon brushes combined with a 125:1 metal spur gearbox. The gearmotor is cylindrical with a diameter of 20 mm, and the D-shaped output shaft is 4 mm in diameter and extends 18 mm from the face plate of the gearbox. This version also has a 6 × 2 mm extended motor shaft. Key specs at 6 V: 120 RPM and 170 mA with no load, 87 oz-in (6.3 kg-cm) and 2.9 A at stall. Note: the gearbox torque limit is 70 oz-in (5 kg-cm); see detailed description for important product limitations.